This border memorial will be an educational counterpart to the famous Beating Retreat Ceremony held daily at the border. CHANDIGARH: The first kind of a border memorial in the country to be established by 1947 Partition Archive at Sarhad Food and Culture Park, located two kilometres before the Indo-Pak international border at Attari-Wagha. This border memorial will be an educational counterpart to the famous Beating Retreat Ceremony held daily at the border, drawing crowds that average around 10,000 a day and grow. 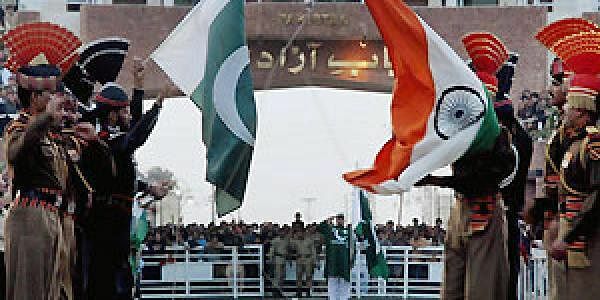 The memorial will highlight and recreate the 1947 partition of the Wagah Border. This organisation, headed by Bhalla, has recorded over 3,500 extensive oral history interviews with witnesses of partition, recorded by hundreds of volunteers and scholars since 2010. The stories have come from cities and villages across India, Pakistan, Bangladesh, Burma and eight other countries. It is currently the largest oral history achievement in the subcontinent, and is supported by donations from citizens across the world. Founding donors include Sanjeev Bikhchandani of Naukri.com, Deep Kalra of MakeMyTrip.com, and several co-founders of Ashoka University, among others. The memorial is due to open to the public at the end of August. It will create an experience for visitors focused on creating empathy and awareness of the migration through exhibits based on video interviews, photographs, hands on activities especially for children, as well as artifacts. The 1947 Partition Archive’s database has been curated to recall stories and experiences specifically related to the migration across the Wagah-Attari border in Punjab. The memorial will focus on engaging both daily visitors to the Wagah Border, as well as school children and citizens from surrounding villages and the greater Amritsar area. In fact, the Border Memorial has not been named yet and a competition to name the memorial will soon be announced. “In the spirit of keeping the experience grassroots, democratic and people-centric, we would like everyone who wishes to join us in naming the memorial. We will announce the details soon,” says Amanbir Jaspal, owner of Sarhad.